Probate Lawyer | Menomonee Falls | Law Office of John F. Zeckel, S.C. When someone passes away, their estate must be formally settled and closed. In order for this to happen, a responsible adult must step up to the plate and ensure all required tasks are completed in accordance with Wisconsin state laws. If the estate trustee (the deceased) nominated an executor in his or her will, this person must be approved by the court to proceed. If, however, the trustee did not nominate an executor in their will, or did not have a will, the court will be forced to appoint someone to stand in, usually a spouse or adult child of the deceased. 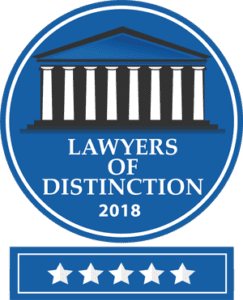 If you have been nominated or would like to be appointed, the Law Office of John F. Zeckel, S.C. is here to help. What Happens During Wisconsin Probate? The entire probate process usually lasts between six months and one year. During this time, the executor will be required to account for all assets, distribute inheritance to named beneficiaries, notify all creditors and beneficiaries of the death, pay off any outstanding debts, and protect all property until it is either sold or gifted to those named in the will. You will be required to provide documentation that these steps were completed correctly and within the proper timeframes mandated by Wisconsin law. The probate process can be daunting for the layperson. If you feel overwhelmed by this task (as many people do), your best course of action is to retain an experienced Wisconsin probate attorney to guide you through each portion of the estate management. Attorney John F. Zeckel has over 30 years of experience handling complex estate planning and probate cases and possesses extensive knowledge of this area of the law. You don’t need to attempt to tackle this alone — contact our firm today to get help. The Law Office of John F. Zeckel, S.C. provides effective legal representation to clients who have been tasked with executing the probate of an estate in Menomonee Falls, Waukesha County, Washington County, and throughout southeastern Wisconsin. Contact our firm today at (262) 255-2050 to schedule a free consultation with an experienced lawyer.